The wreck of the Costa Concordia cruise ship could be loaded aboard a colossal salvage vessel after a deal was struck the Dutch company. The Dockwise Vanguard, capable of picking up oil rigs, has been recruited as an option to move the ship. The vessel can sink under the Concordia then rise up to lift it clear of the water before sailing it to be scrapped. 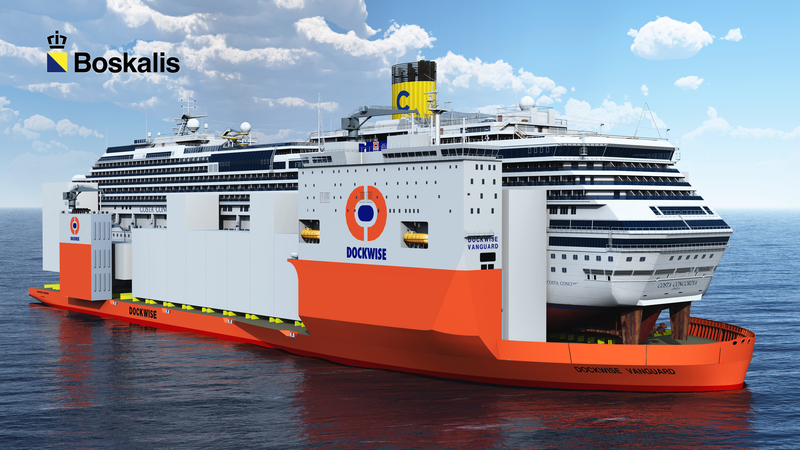 Click here for a report by BBC News and click here for an artist’s rendering of the cruise ship on board the Dockwise Vanguard.